Blood tests are important to help determine your pets organ function and to detect certain diseases including diabetes, kidney disease, thyroid disease and more. Routine blood work can lead to early detection of some diseases, which can lead to a longer healthier life for your beloved furry friend, as treatments can then be started earlier. The blood draw itself takes approx. 5-10 minutes. If the blood work is run in-house, results are generally ready within 30-40 minutes depending on caseload. Sometimes the owner’s have the option to wait for the results, or your veterinarian can call you at your earliest convenience when everything is complete. When blood work is sent to an outside laboratory, reports can take up to 7 days before results are received. When complete results are received, your veterinarian will call you as soon as possible to discuss over the phone. 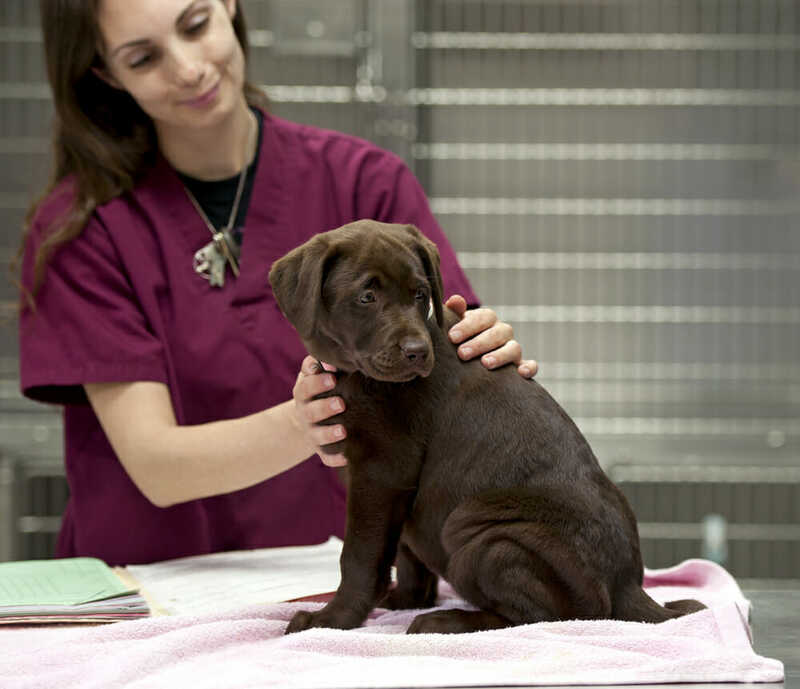 Our caring veterinary staff will guide you prior to the testing and inform you if any precautions are needed. Some animals may require to be fasted prior to a blood test. This will be dependant on a case by case basis. If your animal is on a certain medication, blood work may be required every 6 months to 1 year, your veterinarian will discuss this information with you prior to your pet being placed on the medication needed and would discuss with you the blood work recommendation. Yes, we perform full urinalysis in-house. We do perform certain biopsies, please speak to our veterinary team for further information.